One person was killed Wednesday afternoon when a Metra train struck a vehicle in north suburban Woodstock. 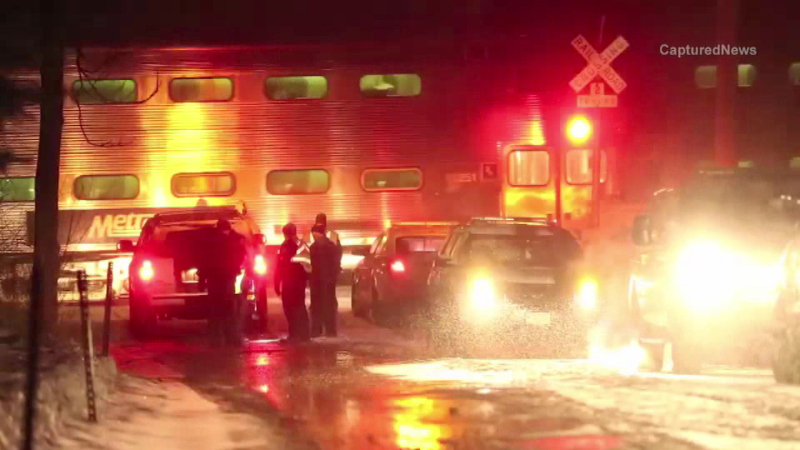 WOODSTOCK, Ill. (WLS) -- One person was killed Wednesday afternoon when a Metra train struck a vehicle in north suburban Woodstock. Amanda Williams, 19, was traveling southbound on Lily Pond Road around 4:54 p.m. when her vehicle slid on the icy road and was unable to stop at the activated crossing, police said. Williams was killed as a result of the accident.